Germany meets France on an itinerary that celebrates the best of both. Begin in a pedestrian-friendly spa town—and perhaps take a dip in an ancient thermal bath. Your journey continues through the Black Forest, where you’ll encounter charming traditions in half-timbered villages, as well as stunning mountain views. And discover the wine region of Alsace, where French and German culture, language and cuisine are uniquely fused. Hearty breakfasts, homemade pastry, fine dining and more ensure that you have a true taste of the region. This tour features easy to moderate terrain, with options for longer rides. Our VBT van support shuttle is always available for those who need assistance. This tour is ideal for both enthusiastic beginners and experienced cyclists. Explore three countries on a single journey—and even in a single day! Marvel at stunning views of the Vosges Mountains. Stroll quaint villages of half-timbered houses and cobbled streets. Enjoy a guided tour of 2,000-year-old Roman ruins in the spa town of Badenweiler. Immerse yourself in the dual French and German culture of Alsace. Behold Eguisheim, acclaimed as one of the most beautiful villages in France. Embark on a “floating tour” of Colmar's old town aboard a small boat. Cycle some of the most scenic stretches of the Route des Vins—the Wine Route. Bite into the famous Black Forest cake of a skilled pastry chef. Tour charming Strasbourg with a local guide. Depart from home for Switzerland. The particulars of your arrival overseas are detailed with your flight itinerary. Upon arrival at the three-country EuroAirport (Basel/Mulhouse/Freiburg Airport (BSL), claim your luggage and clear customs. If your luggage is lost, file a claim before leaving the customs area: VBT representatives are not allowed into the customs area. Make certain your VBT luggage tags are clearly visible so that the VBT representative can identify you. If you are going to be delayed meeting our transfer representative for more than 15 minutes due to delayed or lost luggage, please let the Basel hotel staff know by calling your hotel (Hotel Basel, telephone +41 (0) 61 264 6800). Our drivers are generally able to wait for up to 45 minutes from the time your flight lands, after which you will be responsible for your own transfer. However, they might be able to reschedule your transfer if they are aware of the delay. You may also contact our One Call travel assistance to advise of your delay, and they will contact our transfer service. After exiting customs, turn right toward the Swiss exit side of the airport, and look for our VBT representative, who will be holding a VBT sign and will assist with your transfer to our centrally located hotel (approximately 30 minutes). IMPORTANT: Exit from the Swiss side of the airport, not the French side. Your scheduled airport transfer is directly billed to VBT, so you do not need to pay for it on site. If your taxi driver requests payment upon arrival at your Basel hotel, please ask the driver to accompany you to the hotel front desk, where they will confirm the billing arrangement. Please note: Our rooms may not be available until 3:00 p.m., in which case you may store your luggage with the Reception Desk. The rest of the day is yours to explore Basel at leisure, using the VBT City Information as your guide. 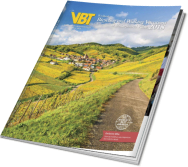 VBT Air Package and Post-Trip Extension guests: Meet our VBT representative and the rest of the group in the lobby of our Basel hotel at 12:30 p.m. Our VBT representative will be holding a VBT sign and will be easy to recognize. Please arrive dressed for cycling (with your pedals or saddle if you use your own), as there will be no place to change into cycling clothes before beginning the warm-up ride. Please plan to have lunch or bring a packed lunch; quick options can be found in Barfüsserplatz, which is within walking distance (10 minutes) of the hotel. From your hotel, you’ll shuttle across the Swiss border and into France, where you’ll meet our Trip Leaders and enjoy an orientation, safety briefing and bike-fitting session. You will then set off on a warm-up ride, cycling along the flat Grand Canal d’Alsace bike path, ending your ride in the small Alsatian town of Ottmarsheim. From here, you’ll take a short 15-minute transfer across the border to Badenweiler in Germany’s Black Forest, your home for the next two nights. You’ll arrive at the Hotel zur Sonne in the afternoon. The hotel is centrally located in this pedestrian-friendly town. Badenweiler, or Spa-Hamlet, has been a popular destination since Roman times for travelers looking to relax in its natural hot springs. Our hosts and owners of the hotel, Mr. and Mrs. Esposito, await your arrival and have planned a special welcome dinner featuring local specialties. You’ll dine al fresco on the hotel’s terrace, weather permitting. As a special treat to end the evening, Mr. Esposito, a skilled pastry chef, will share some of his famous Black Forest cake with us. Enjoy a copious breakfast before embarking on your ride. Given Badenweiler’s hillside location, you’ll start today’s ride with an exhilarating descent out of the village and down into the local vineyards. You’ll ride through the Rhine River Valley along a combination of dedicated bike paths and paved vineyard roads open only to farmers and cyclists. Your route takes you toward the Kaiserstuhl region, renowned as the sunniest corner of Germany and the ideal terrain for growing Sylvaner, Pinot Noir and Riesling grapes. For lunch, your small group will convene in the traditional Black Forest town of Staufen, whose cobbled pedestrian streets and charming half-timbered facades make it ideal for a stroll. You’ll enjoy a special lunch here in a local restaurant. The afternoon’s ride takes you closer to the mountains and into hillier terrain as you make your way back to Badenweiler. The views down to the Rhine and across to France’s Vosges Mountains give you a taste of what’s to come this week. For those preferring a more leisurely afternoon, a transfer has been arranged to take you back to Badenweiler, where you will have more than enough time to take advantage of everything the spa town has to offer. Don’t miss the Cassiopeia thermal baths with more than 10,000 square feet of indoor and outdoor pools, saunas, baths and relaxation areas. Join the group for a tour of the Roman spa ruins, largely intact after nearly 2,000 years—or simply choose to experience the spa for yourself! The evening is yours to eat, explore and relax at your leisure. Wake up with the sun at Hotel zur Sonne (which means the “to the Sun Hotel”). 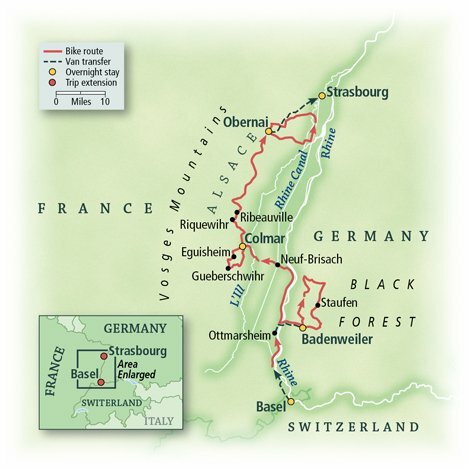 Today’s ride takes you from Badenweiler and the Black Forest into France’s famous Alsace region. For centuries, this region has been deeply coveted and hotly contested by both France and Germany, and the influence of both cultures gives Alsace its unique fascination. You’ll see many examples of Alsace’s tumultuous and multi-faceted past, and you’ll also enjoy the hybrid cuisine and traditions with both French and German roots. A well-marked bike route leads north and east to the fortified town of Neuf-Brisach, a UNESCO World Heritage Site whose intact fortifications date to 1698, when King Louis XIV commissioned them as a protection against the Habsburg Empire. Enjoy lunch near the historic main square. This afternoon, a combination of flat bike paths and roads takes you to your final destination, Colmar, the crown jewel of Alsace. Your historic hotel lies in the heart of Colmar’s old town, near its picturesque canals. Its location is ideal for exploring the historic center. After arriving and taking time to relax and settle in, you’ll meet and walk to a family-run wine cellar and then dinner in a favorite local restaurant. Begin cycling the Route des Vins—the Wine Route—on a southbound route out of Colmar. Departing Colmar, you’ll follow a well-marked bike path through famous Alsatian wine towns such as Gueberschwihr, Obermorsschwihr and Eguisheim. In 2013, Eguisheim was nominated one of the “most beautiful villages in France” on a nationwide vote, and this pretty town has also won the “village fleurie” award for its overflowing flowerboxes decorating the half-timbered buildings and cobblestone streets. Here in the heart of the Alsatian wine country, you have the possibility of independently visiting wine cellars and then choosing from many lunch options before winding back through the vineyard-covered hills to Colmar. You’ll bid adieu to Colmar this morning and set out for one of the most scenic sections of the wine route. Rolling hills reward the adventurous riders with spectacular views and thrilling descents. The route leaves the plain with some hilly sections heading north and west into vineyards and the wine route’s scenic towns such as Riquewihr and Ribeauville. The well-marked European bike route offers spectacular cycling with the higher Vosges Mountains and medieval villages in the distance, punctuated by picturesque wine towns dotted with half-timbered homes where you can stop at your leisure for lunch. For those on the longest option, the terrain rises gradually before you descend into the charming town of Obernai and your hotel—the perfect stop after an unforgettable day of cycling. Stroll into Obernai this evening and treat yourself to a sampling of some of the wines from the vineyards you passed today. You may also choose to take advantage of your hotel’s pool and spa facilities. Your small group’s final ride together takes you toward the northern end of the Alsace wine route. Here, rolling hills melt into the flat valley as you make your way to the Rhine Canal. This lovely bike path follows the canal toward Strasbourg. In the afternoon, you’ll loop back along another bike path through surrounding villages with views of the Vosges to the west and back to your hotel in Obernai. Tonight, celebrate the week’s adventures at a farewell dinner at your hotel. After breakfast, you’ll say so-long, farewell, auf Wiedersehen and au revoir to our Trip Leaders and take a short train ride into Strasbourg. A local city guide meets you at the train station for a stroll and orientation through Strasbourg, finishing at your hotel, the Regent Contades. VBT Air Package and Post-Trip Extension guests: After your tour concludes, the remainder of the day is yours to make your own discoveries. Our rooms may not be ready until 3 p.m., but our luggage awaits our arrival at the hotel. From the picturesque Tanners’ District to the Musée des Beaux Arts to the lovely Notre Dame cathedral, Strasbourg offers a myriad of attractions that your Trip Leaders and the local city guide will be happy to recommend. After breakfast*, transfer to the Frankfurt airport (approximately 3 hours, depending on traffic) for your flight home. Please ensure you are ready and waiting in the hotel reception area at the designated time. IMPORTANT: The large airline hub of Frankfurt Airport provides optimal flight routing to the U.S. (instead of the closer but smaller Strasbourg airport). Departing from Frankfurt may require a very early morning departure from your Strasbourg hotel. VBT makes every attempt to book flight departures later than 10:30 a.m., but if your flight departs Frankfurt before 10:30 a.m., the ground transfer from your Strasbourg hotel to the Frankfurt airport may leave very early in the morning (5 hours prior to your flight to accommodate the 3-hour drive from Strasbourg to Frankfurt and recommended 2-hour prior check-in time). * For guests with early-morning departures, breakfast may not be available. Please check with the Front Desk to verify the times when breakfast is served. Please note: VBT recommends that you check your transfer time in your “Transfer Reminder.” VBT transfer times and departure points are finalized in advance and cannot be modified for individual guests. If you extend your stay beyond the scheduled departure time, return transportation to the airport will be at your own expense. VBT-Bicycle-Vacation-only guests: At 12:30 p.m., meet your VBT representative and the rest of the group in the lobby of the Hotel Basel (Muenzgasse 12, 4001 Basel, Switzerland, telephone +41 (0) 61 264 6800). Our VBT representative will be holding a VBT sign and will be easy to recognize. Please come dressed for cycling (with your pedals or saddle if you use your own), as there will be no place to change into cycling clothes before beginning the warm-up ride. Please plan to have lunch or bring a packed lunch; quick options can be found in Barfüsserplatz, which is within walking distance (10 minutes) of the hotel. If your arrival at the hotel is scheduled for later than 12:30 p.m., or if you are delayed, you must travel to our Badenweiler hotel, Hotel zur Sonne (Moltkestrasse 4, 79410 Badenweiler, Germany, telephone +49 (0) 7632 75080), at your own expense. A taxi from Basel to Badenweiler costs about $150-$200 U.S. per taxi and takes approximately 45 minutes. Please contact the Hotel zur Sonne to advise of any travel delays or changes, and the staff will pass your message on to your VBT Trip Leaders. VBT-Bicycle-Vacation-only guests: After the walking tour finishes at the Hotel Regent Contades at approximately 12 p.m., you are free to continue on your own. 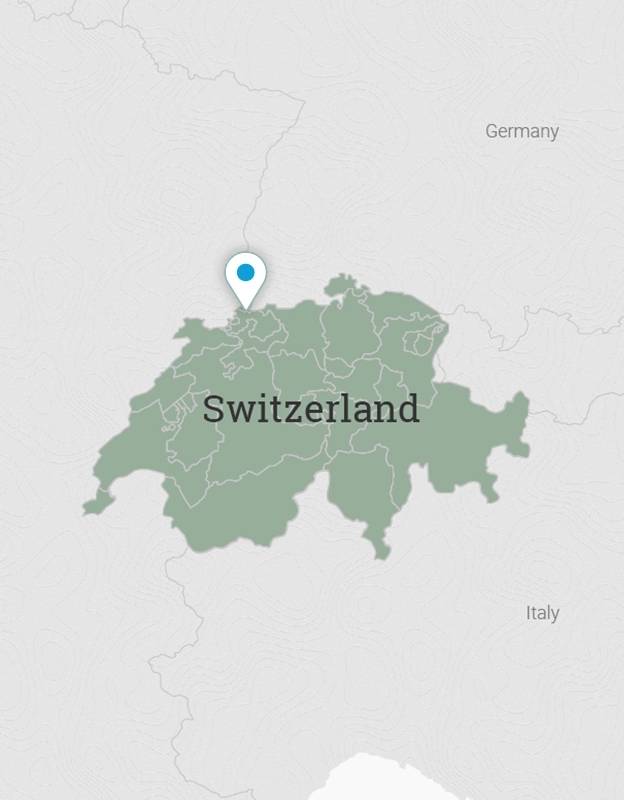 There are many train connections to other cities in France, Germany and Switzerland. Or you might fly directly from the Strasbourg airport to your next destination. Your transportation from Strasbourg and beyond will be on your own. For travelers departing on Lufthansa from Frankfurt Airport, there are Lufthansa shuttles departing from the Strasbourg train station and from the Hilton Hotel (refer to Lufthansa for details on cost and schedules). Hotel Basel is the towns premier 4-star hotel, ideally located in the heart of the pedestrian old town, just steps from the Marktplatz. The hotel boasts several restaurants, including the outdoor Le Boulevard terrace, and you can enjoy breakfast in a remodeled wine cellar. A pass for the local tram and bus network is included in your stay. At the edge of Germanys famous Black Forest lies the town of Badenweiler and the Romantikhotel zur Sonne, or the hotel “to the sun.” Badenweiler is famous for being Germanys sunniest town, with over 1,700 hours of sunshine annually, and you can enjoy some of it at the hotels lovely terrace. The family owned and operated zur Sonne offers 35 rooms in several buildings. The central location of the hotel makes it easy to stroll through town and to the famous Cassiopeia thermal baths. A beautifully renovated 16th-century hotel in the heart of Colmars historic “Little Venice” district with its narrow canals and cobbled streets is ideal for strolling into the citys old town. Guest rooms centered on a tranquil Renaissance courtyard are modern with wood floors and soothing tones. The lounge and bar areas on the ground floor are stylish and plush. In the cobblestoned center of the charming Alsatian town of Obernai, this 4-star hotel is a historic manor house that was the residence of the “Court of Gail.” Beautifully renovated historic spaces and guestrooms include exposed beams and half-timbered exteriors typical of Alsace as well as in the fine-dining restaurant. The on-site spa contains an indoor pool, sauna, steam room, Jacuzzi along with spa treatments (available for booking). An upscale boutique hotel, the four-star Hotel Regent Contades in Strasbourg is ideally located on the LIll River, near the iconic Cathedral Notre Dame de Strasbourg and within easy walking distance of numerous other architectural and cultural treasures. The Regent Contades Strasbourg boasts a turn-of-the-century ambience with upscale modern amenities. Upon arrival at the three-country EuroAirport (Basel/Mulhouse/Freiburg Airport) (BSL), claim your luggage and clear customs. If your luggage is lost, file a claim before leaving the customs area: VBT representatives are not allowed into the customs area. Make certain your VBT luggage tags are clearly visible so that our VBT representative can identify you. Please note: Your room may not be available until 3:00 p.m., in which case you may store your luggage with the Reception Desk. Enjoy a full day to discover this amazing capital of culture and art at your leisure. Please see VBT’s City Information for suggested itineraries and activities for your time in Basel. Choose from among Basel’s inviting restaurants and cafes for lunch and dinner on your own. Continue your independent exploration of Basel or travel to one of Switzerland’s other famous cities. Within about a one-hour train ride from Basel, you can visit Zurich, famous for having the highest standard of living in Europe; Bern, the Swiss capital and a UNESCO World Heritage Site; or Lucerne, a medieval jewel set on a glittering lake. Air Package guests will be arriving throughout the day. Today is yours to explore Strasbourg at your leisure. Perhaps you’ll stroll through Strasbourg’s picturesque streets for a little shopping, or find an outdoor beer garden and enjoy a relaxing drink after a week of riding. The La Petite France neighborhood offers a little something for everyone. A boat tour around the city is another popular activity, but remember to book your ticket in advance. Your Trip Leaders can suggest activities here. Continue your independent exploration of the city and nearby area. The massive Notre Dame cathedral is a must-see, a marvel of Gothic creativity with its soaring spire, red sandstone façade and vivid stained glass. Perhaps you’ll visit the Palais Rohan. Considered a miniature Versailles, it also boasts a fine archaeological museum in its basement. And, of course, every corner beckons with the brasseries, beer pubs and winstubs (wine taverns) that make Strasbourg a very happy place indeed. After breakfast*, transfer to the Frankfurt airport (approximately 3 hours, depending on traffic) for your flight home. Please ensure that you are ready and waiting in the hotel reception area at the designated time.